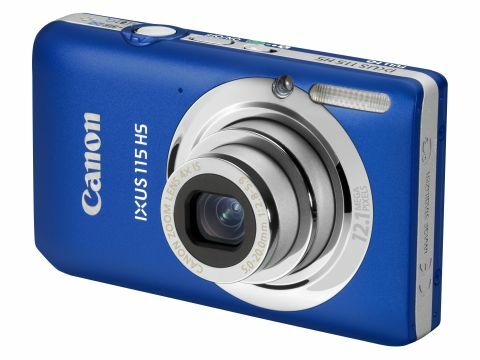 Canon's IXUS 115 HS is one of the company's latest models to incorporate its High Sensitivity technology, which debuted in last year's IXUS 300 HS. Rather than simply increasing the available sensitivity range - which often just results in nosier images - the technology combines a modest pixel count with a backlit sensor design, which theoretically makes the imaging device more sensitive to light and less prone to producing noise. The principle behind backlit sensors is simple. The wiring which is usually found on the front of the sensor is moved behind the photosites, away from the path of incoming light. This construction means there are fewer obstacles for incoming light, which in turn makes the sensor more sensitive. Canon joins Casio, Nikon and others in implementing the technology into its compacts, and although it's still in its infancy it seems likely that other manufacturers will soon follow suit. Canon has chosen to limit camera's resolution to 12.1MP. the logic being the fewer the pixels on a sensor the larger they can be, thus improving their signal to noise ratio. The sensor also allows for full HD video shooting at 24fps, as well as a Super Slow Motion mode which captures movies in 120fps and 240fps options for super slow playback, and employs a Dynamic IS system while recording movies to keep everything steady. The more standard Optical IS system also makes an appearance, helping to stabilise the camera's 28-112mm objective by up to three EV stops when shooting still images. The Smart Auto system claims to detect 32 separate scenes before making all necessary adjustments to help better picture quality, while those wanting to get a little creative may call upon the fisheye, miniature and toy camera processing options, which each display their treatment as images are composed. There's also a high speed burst mode which captures 3MP images at an 8.2fps burst rate, and full-resolution 3.7fps burst rate should 3MP be too limiting. Sensitivity may be adjusted to a maximum ISO 3200, while a 3in PureColor II G LCD lies on the back of the camera, fronted by a tempered layer of glass for protection. HDMI mini and USB 2.0 ports are located to the camera's side for transferring images and movies to other devices, and support is provided for the full SD family of memory cards, right up to the most recent SDXC variety.